To book a place on any of our workshops or events, please first call the gallery on 01993 850137 or email us at gallery@westoxarts.com to make sure a place is available. We will then reserve your place while you send a cheque, made payable to WOA. For some events (or if time is short) you can pay by cheque, cash or card when you arrive at the gallery. Some events are drop-in so you do not need to book! We hope to see you soon! Enjoy drawing from a live model in a casual, untutored environment. There's no need to book in advance, just pay as you attend. ParticIpants provide their own drawing materials. These untutored sessions are offered on an ongoing basis. Linked with February's exhibition, Barrie will argue that early creative works reveal an intimacy with nature that is vital to the human spirit. The best early expressive work has a sheer economy that would have demanded a life-time's observation and practice which most modern humans seem to have lost or rejected. Barrie believes we need to return to the cave and work with nature to ensure our futures. Come along to this fascinating talk (no need to book) and join in with what promises to be a spirited Q & A! 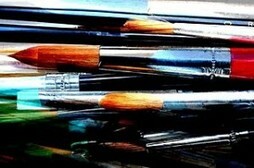 What makes a still life interesting? What elements should we consider before starting? 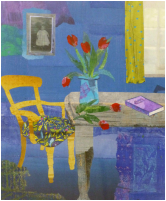 This workshop, with artist and West Ox Arts' Trustee Kathy Philson, begins with short warm-up exercises and discussions on the basics -- such as surface, scale and viewpoint -- which are so important to the outcome of the artwork and then moves to producing one or a series of still lifes individually. Please bring materials you would like to work with. Fee: No charge, but please contact the gallery to let us know you plan to come. 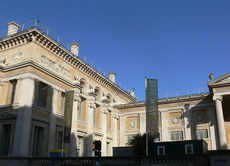 Bring your drawing materials and meet at 11.00 in the museum's entrance foyer to enjoy a day drawing around the museum then meet with your fellow artists at the end of the day to compare notes. There are wonderful facilities including a restaurant and cafe so there are plenty of options for lunch. You do not need to book a place but please let us know you are coming! Fee: FREE - all welcome and no need to book! Our series of artists' forums continues into 2015! Do you need inspiration? Are you half-way through something and seriously stuck? Have you had a breakthrough that you want to share? Bring along an example of your current work or just come along and join the discussion! Creating your own decorated papers is a great way to add individuality to your artwork whether you want an exciting, stimulating background for your drawing or painting, making cards or collage pictures, or giving your handmade books that extra special touch. 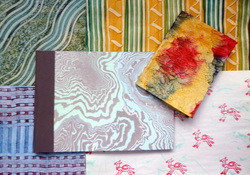 In this workshop we will try out different techniques for marbling, experiment with combining monoprint and printed block patterns and find some simple ways of adding colour and texture as a base for further work. You will go home with a collection of samples and all the information you need to continue to make your own papers at home. There is no extra charge for materials but if you have them please bring two very fine watercolour brushes, an inch deep dish or tray, preferable white and large enough to take at least A4 paper. Limited places - please book! Bring your drawing or painting materials and explore drawing a clothed model in our wonderful gallery. There will be a variety of poses, including a long pose. 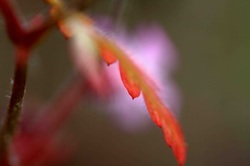 Artist and West Ox Arts' Trustee Kathy Philson will help you to get the most out of the workshop and there will be an opportunity to compare notes with fellow workshop attendees at the end of the day. An introduction to the highly addictive and rewarding art of sock knitting for knitters who are already fairly confident. We will work on a miniature sock and tackle all the essential skills: knitting in the round, creating an extra stretchy rib, turning the heel, and grafting the toe using Kitchener stitch. 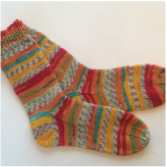 Needles, yarn and pattern are provided for the workshop and you can buy the needles at cost price so you can get started on your first pair of full-size socks as soon as you get home!